received compensation to write this post…all opinions expressed are my own. Not that you would ever need an excuse to whip up some delicious pancakes today, but did you all know that it is International Pancake Tuesday? Yep, folks! International Pancake Tuesday is a thing, and a very good thing at that. 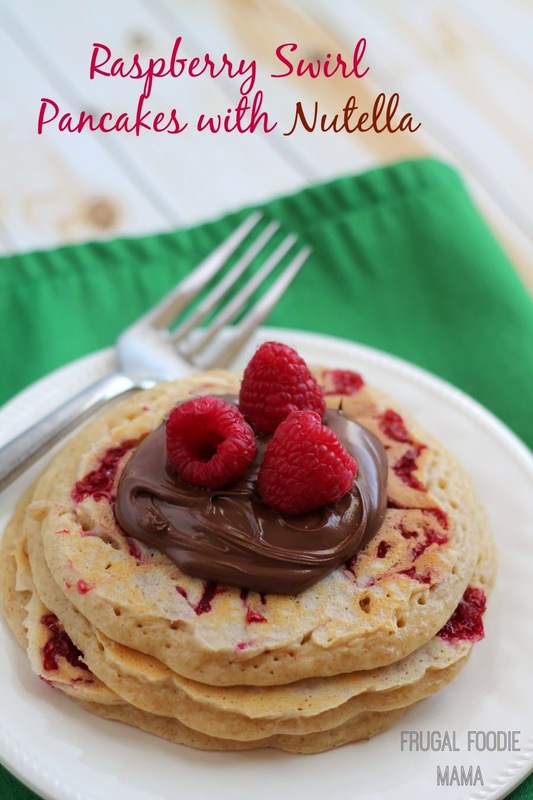 ;) It also happens to also be the perfect excuse to serve up a platter of these beautiful Raspberry Swirl Pancakes for breakfast this morning or to plan a belated pancake celebration for the weekend. In a small saucepan, combine the raspberries and 1/4 cup sugar. Bring to a boil and then reduce the heat and allow to simmer for 5 minutes or until thickened. Set aside and allow to cool. Heat your griddle to 350-400. In a large mixing bowl, whisk together the flours (all-purpose, wheat, oat), 1/4 cup sugar, baking powder, and baking soda. Add in the buttermilk, eggs, vanilla, and oil. Mix until just combined (batter may be a little lumpy- that is fine!). Allow the pancake batter to sit for 5-10 minutes before using it. Meanwhile, funnel the raspberry sauce into a squeeze bottle with a tip (like the ones used for decorating chocolate) or use an icing bag with a tip. Ladle the pancake batter onto the griddle (I used a little less than 1/2 cup of batter per pancake). Allow to cook for 30 seconds, and then pipe a few small globs of raspberry sauce into each pancake. Immediately use a toothpick to swirl the sauce in a pretty pattern into each pancake. When the pancakes begin to bubble slightly, flip them. Cook until golden brown (about 2 minutes per side). 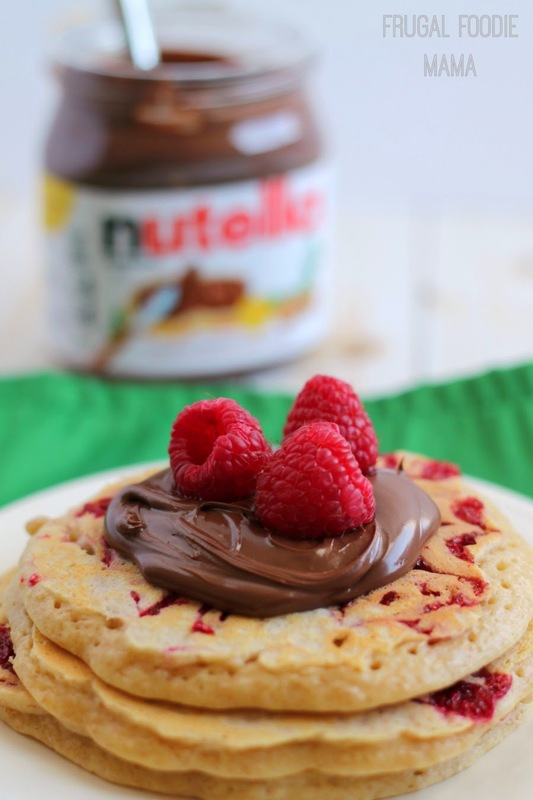 Plate and serve with 2 tablespoons of Nutella spread per stack and additional fresh raspberries and any leftover raspberry sauce, if desired. 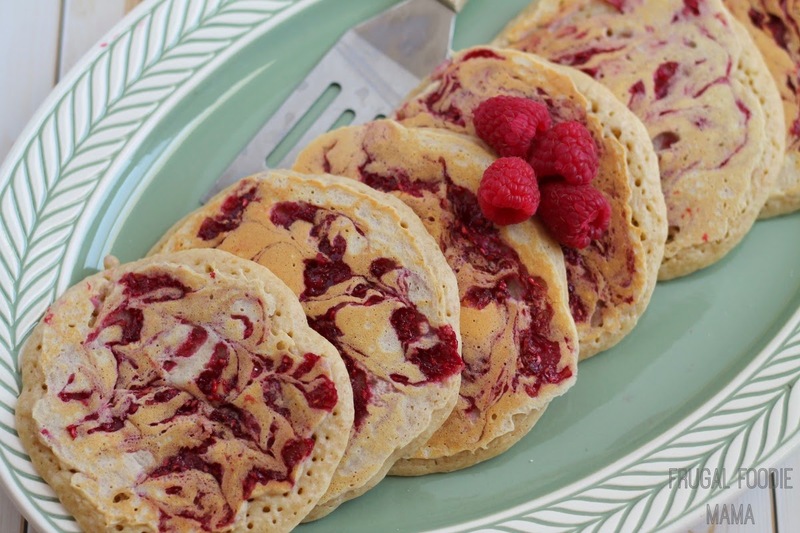 Adapted from this recipe for Raspberry Swirl Buttermilk Pancakes from French Press. 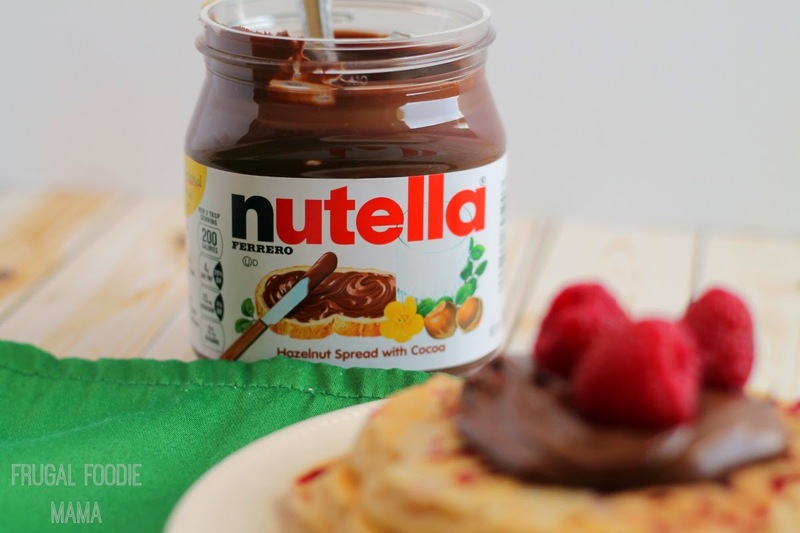 How will you Spread the Happy with Nutella on this International Pancake Tuesday?